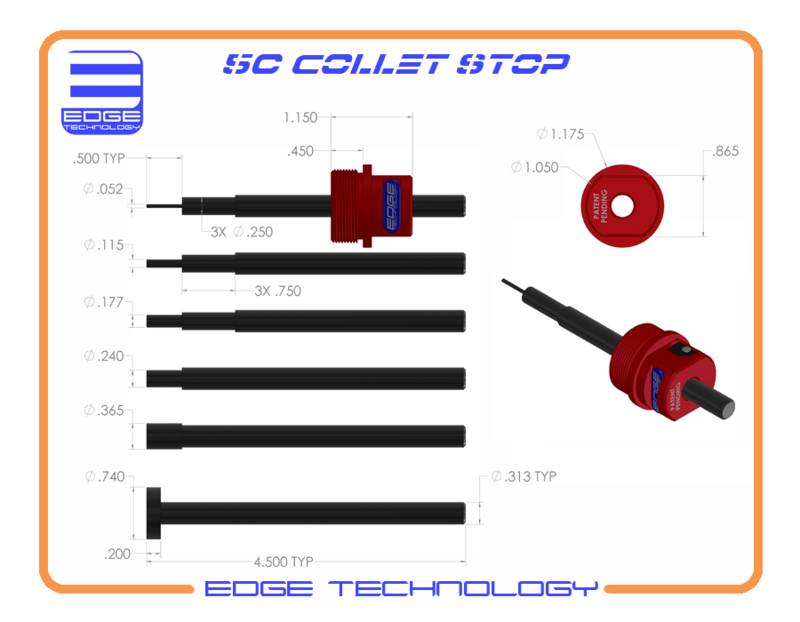 The 5C Collet Stop by Edge Technology is a must for multiple piece runs of small lathe parts. 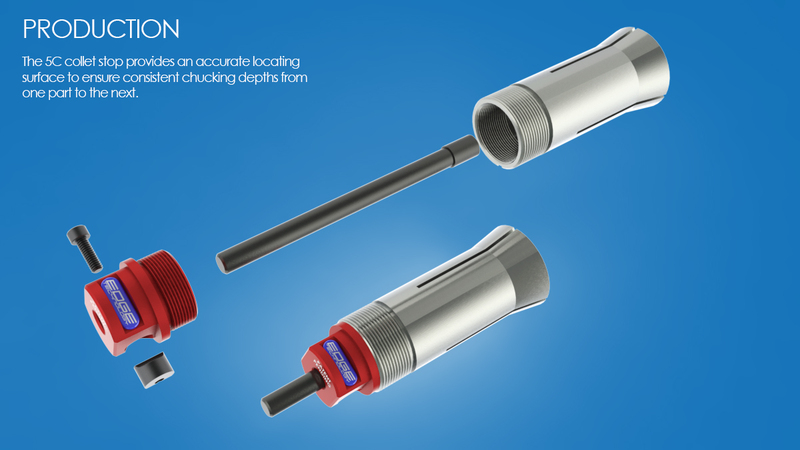 It is designed to provide a consistent locating surface to ensure each part is indexed to the same depth. 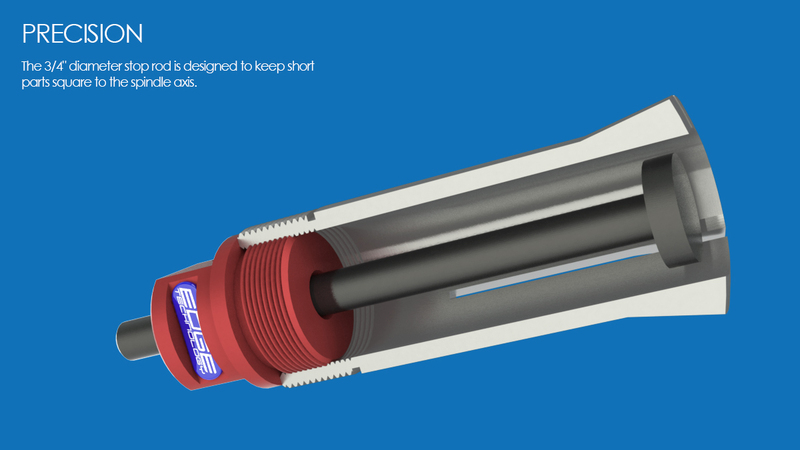 The location of the stop rod is easily adjustable and six differed size stop rods are included to fit any size collet. •	Fits standard 5C collets with internal threads. •	3/4" stop rod is designed to keep parts square to spindle axis. 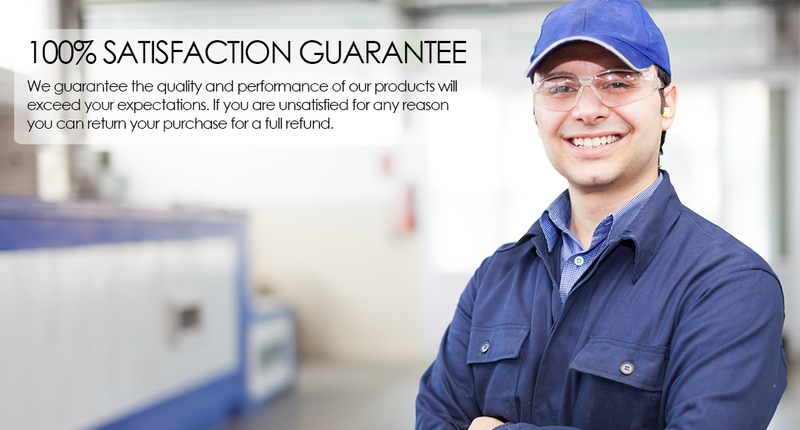 •	Proprietary locking system prevents the possibility of the stop rod slipping in the body. •	Body made from red anodized 6061-T6 aluminum. •	Body fits a 7/8" wrench.